The ZISC can be reached by two public bus lines. Option number 1 is line 293, which leaves at Erlangen main station in the direction of Erlangen Bruck. Exit at station “Stettiner Straße” or “Technische Fakultät” and walk approx. 5 minutes to the Martensstr. 5a. 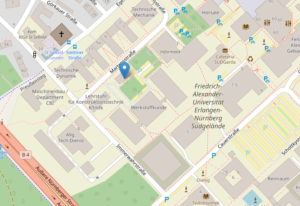 Alternatively, use the line 287 direction Sebaldussiedlung and exit at station “Stettiner Straße”. 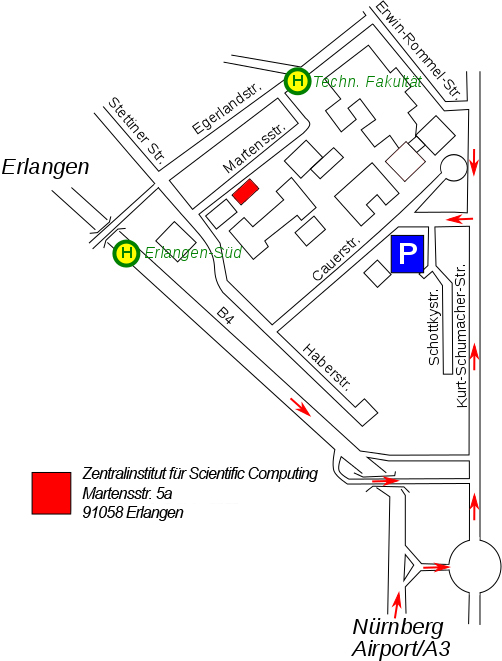 When you are coming from the direction of Nuremberg, use line 30 in the direction “Erlangen Hugenottenplatz”. Exit at station “Erlangen-Süd” and walk approx. 10 minutes to the ZISC.